Patrick joined the Grantham Research Institute on Climate Change and the Environment in February 2016. 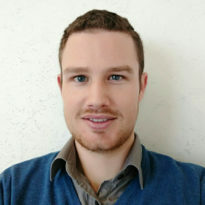 Before joining the Grantham Research Institute, Patrick worked at Camco Clean Energy (South Africa) supporting the development of climate change and energy policy in sub-Saharan Africa. His work included conducting research and advising government departments, public sector institutions, development finance institutions and private sector organizations to provide policy recommendations and evidence to support decision making. During his time at Camco, Patrick worked on projects ranging from supporting energy and carbon policy development for the National Treasury, Department of Environmental Affairs, and Department of Science and Technology in South Africa, to the review of renewable energy policies and the design of renewable energy procurement mechanisms in the SADC region, including South Africa, Zimbabwe, Namibia, and Uganda. Patrick has also worked at all scales of the public sector including providing support to local, national and regional bodies as well as explaining the implications to the private sector. Patrick’s research interests lie in understanding how climate finance can be channeled to support public sector institutions and how it is used to create the enabling environment for climate change mitigation and adaption in developing countries. Patrick also has an interest around how renewable energy procurement mechanisms and carbon markets can be used to support sustainable development. Patrick holds a Master of Science degree and a Bachelor of Commerce (Honours) in Environmental Science from Rhodes University, South Africa and a Postgraduate Diploma in Management: Public Sector Monitoring and Evaluation from the University of the Witwatersrand, South Africa. How ready is South Africa for a new fuel levy to reduce greenhouse gas emissions?